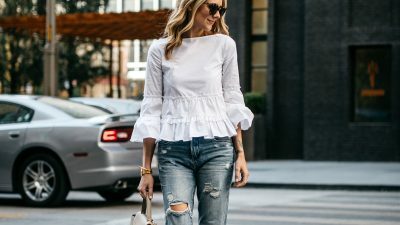 If you spot Kendall Jenner wearing it, you know it’s a trend. In her case she peeped over an oversized version, but for the rest of us there’s no getting away from bandanas and little scarves in 2015 (even if we wanted to). Saint Laurent added class with silk, while Cara Delevingne rolled hers to control her hair, with sunglasses hiding we-don’t-know-what. From bikers to punks and way back as far as the original cowboys, the bandana insists on having a moment from time to time and it’s doing so right now. Whether you style it around your neck or your head, this is the must-have accessory for the budget-conscious fashionista this season. 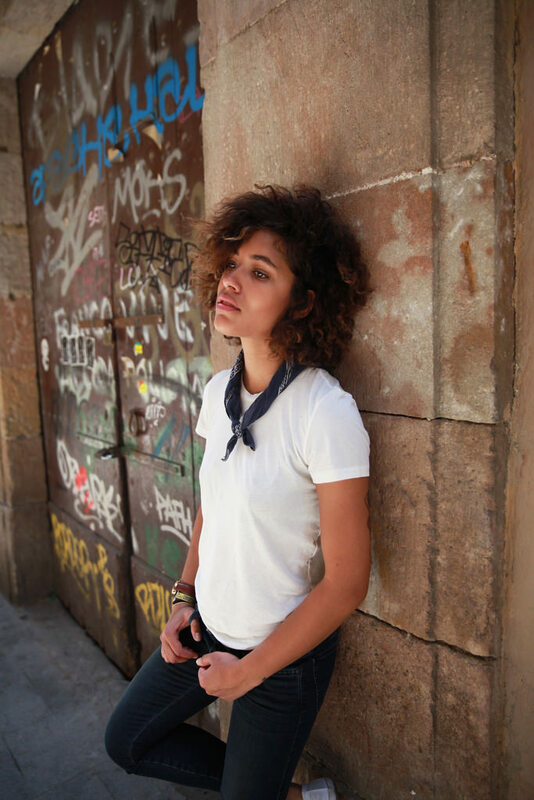 Not only is it a snip to buy, but you can transform a whole outfit with just this one bandana purchase. 1. 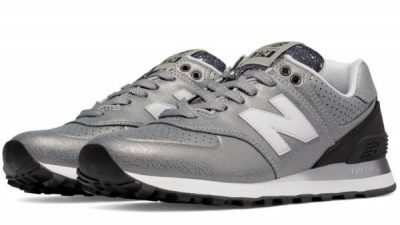 As for the actual prints, paisley is to the fore as favourite but by no means the only option – check would be good. 2. 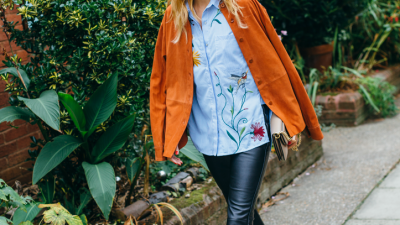 Tuck it into your V-neck sweater or create a snug place at the top of a leather bomber. 3. Choose blue or red with white and settle it inside a turtle-neck. 4. Go for green or purple with a denim shirt or team a red bandana with military styling. 5. Fit it above dungarees with a faux fur jacket, or use as an accessory on wrists and bags or whatever and wherever. 6. Festival lovers can let it all go to their heads with the addition of a maxi and a fringed kimono. Match to the rest of your outfit or call for contrast instead. 6. Brilliant for bad hair days and windy places, it’s a natural with ripped shorts and an oversized tee or a plaid shirt. Work it as a head band or with a retro bow, or tame your locks by anchoring pony tails and plaits with a rolled bandana. Fasten swept-up tresses and let the scarf ends flow freely or mingle them with long hair. 7. Cover your head à la Axl Rose, get the hippie vibe or copy Rihanna’s black and white bandana. 8. Wear as a hat band on straw or felt, or turn it into a belt. Twist into a turban, or tie at the nape of your neck and flaunt the kerchief forwards. And don’t stop there – we can see you’re having fun! Julie Sarinana is wearing the little neck scarf trend as a cute alternative to a necklace or choker! Paired with a sleek chifon dress and navy sandals, this scarf looks feminine and stylish. Dress: Sincerely Jules, Bandana: Urban Outfitters, Sandals: Miu Miu. Leonie Sophie is looking fabulous in this shaggy faux fur coat, worn with flared jeans and faux snakeskin boots. A silk scarf is the perfect way to add a hint of sophistication to your every day look! Blouse: Weeekday, Jeans: Mih, Coat: Set, Boots: Ted and Muffy. 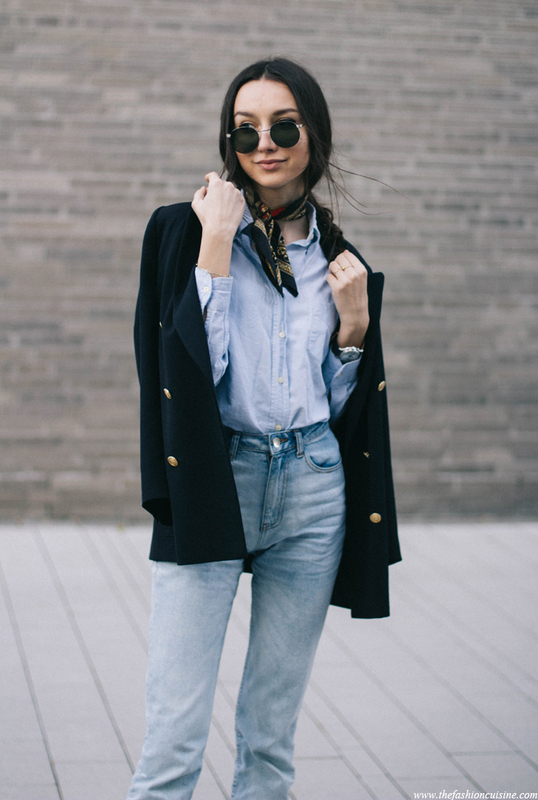 A neatly tied mini neck scarf can be a subtle, simple way of adding dimension to an outfit. Ivana Julián wears this mustard scarf with a relatively plain look consisting of denim jeans, a white tee, and a pastel blazer. Jacket: Emporio Armani, Sweatshirt: Mango, Scarf: H&M, Sneakers: Reebok. Julie Sarinana wears a red bandana neck scarf; an absolute classic. Paired with a cute black dress and strappy sandals, this scarf adds dimension and edge to the look. A neckscarf can be suitable for formal occasions in addition to casual events. Sandra Buisan wears this black and white patterned little neck scarf with a grey buisness coat and black trousers. Try accessorising a smart blazer and slacks outfit with a sophisticated neck tie like Beatrice Gutu to get that edgy, individual feel. 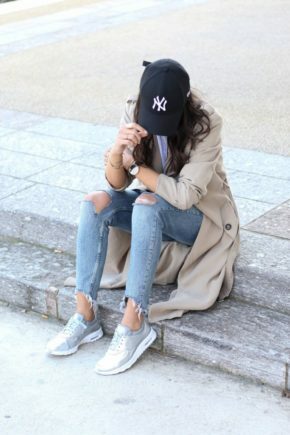 Blazer: Cerruti 1881, Shirt: Asos, Trousers: Zara, Sneakers: Stan Smith, Bag: Zara, Watch: Daniel Wellington. 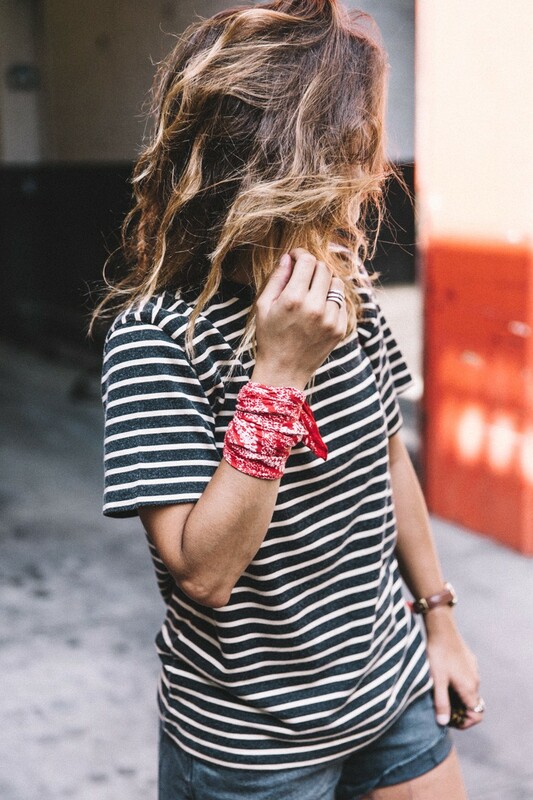 A classic black and white bandit-style bandana will go with almost anything. 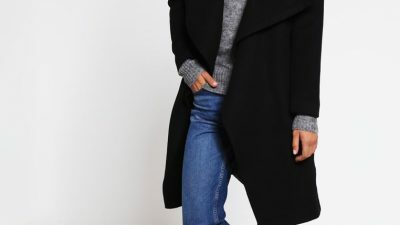 Natalia Cabezas wears hers with a simple jeans and jumper outfit. Sweater: MbyM, Trousers: Uterqüe, Shoes: Isabel Marant, Bag: Nat & Nin, Bandana: Levi. 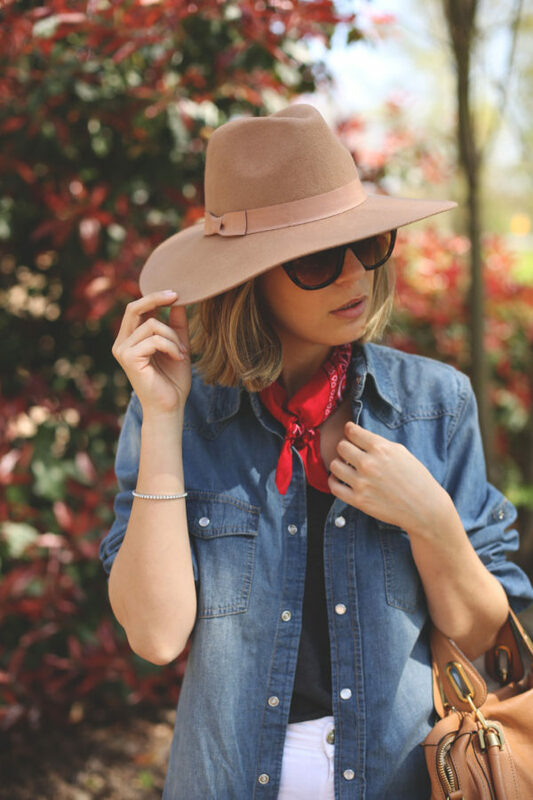 A red bandana is the perfect accessory to this country style classic. Via Jill Wallace. 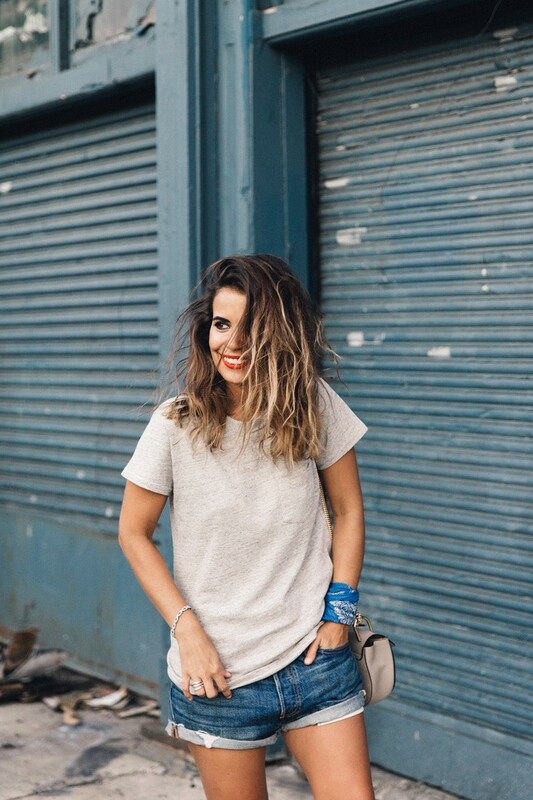 Sara Escudero is accessorises perfectly, matching a blue bandana with denim shorts and a plain tee! 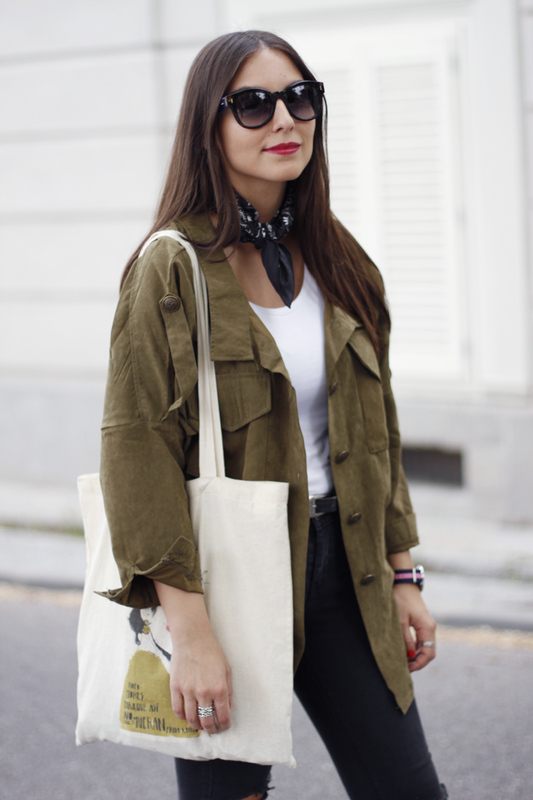 Try accessorising your outfit with a bandanna tied around your wrist like Sara Escudero! Alyssa Lau wearing is all black and white with a blue bandana around her neck to give it a bit of colour. That’s how easy it can be done. 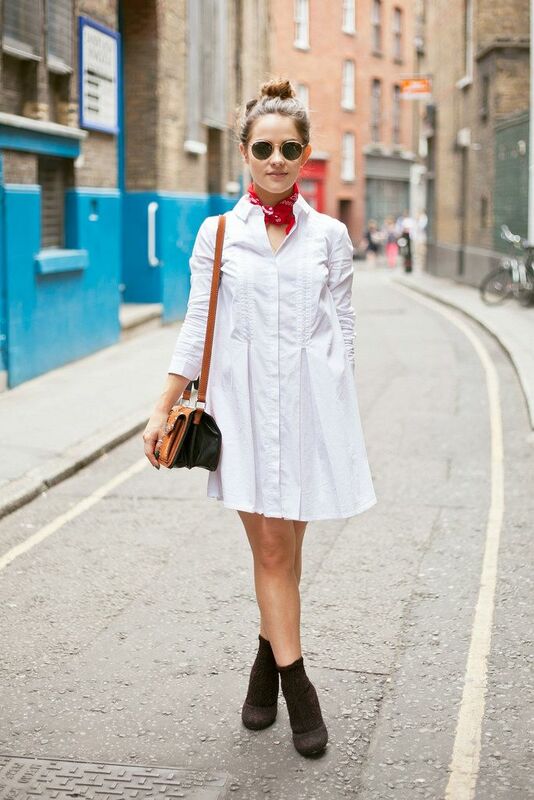 A simple white shirt dress paired with a red bandana and a pair of ankle boots. Via Amy Spencer. Stella Wants To Die shows how you can easily bring the bandana trend into Fall. 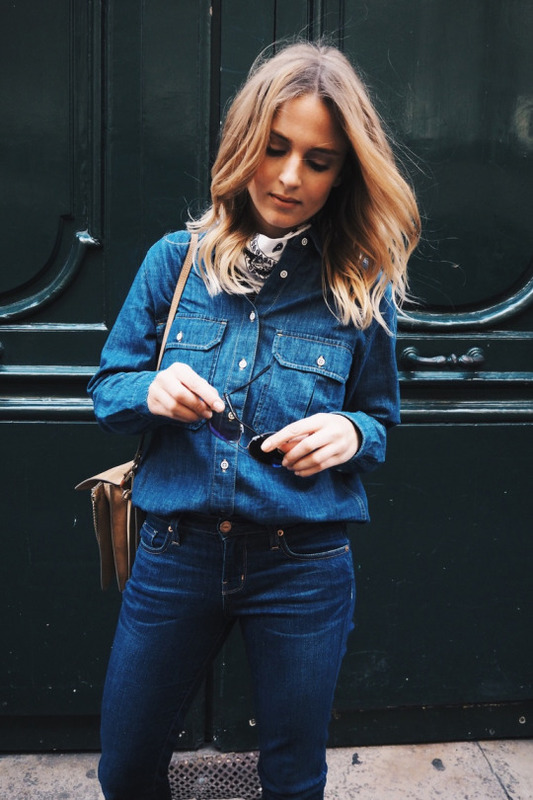 We think that Lucy Williams’ cute little bag bandana just makes this outfit! The bandana can we worn in many ways. Here worn as a head band. Via Janni Deler.